An alleged member of the Anonymous hacker collective was arrested Tuesday in connection with an attack on the Website of KISS front-man and reality television star Gene Simmons. Reuters identifies the suspect as a 24 year-old Connecticut man named Kevin George Poe. Poe is accused of orchestrating a denial-of-service attack against Simmons’s website back in October 2010. Poe is ordered to appear in a court in Los Angeles at a yet-to-be determined date. He is charged with conspiracy and unauthorized impairment of a protected computer and could face up to the 15 years if convicted. Poe reportedly used the Low Orbit Ion Cannon, a DDoS tool popular among some in the Anonymous membership, to launch his alleged attack. This is the first notable arrest of an alleged Anonymous member since a campaign over the summer that resulted in the arrests of a slew of Anonymous leaders, members, and individuals otherwise associated with the group. It remains unclear why Poe felt the need to attack the Website of Gene Simmons. 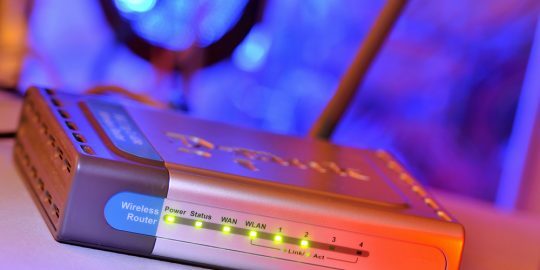 Tens of thousands of home and office-based routers have been hijacked over the last several months to stage a distributed denial of service attack campaign. Reuters Editor Indicted for Helping Hackers Break Into Tribune Co.
A Reuters social media editor on Thursday was charged with helping hackers break into the Tribune Co.’s network shortly after he was fired from a Sacramento television station in Fall 2010. A U.S. Eastern District grand jury in Sacramento handed down a three-count indictment against Matthew Keys, 26, of Secaucas, N.J., for conspiracy to transmit information to damage a protected computer and transmitting or attempting to transmit that information. The combined counts carry a potential penalty of 25 years’ imprisonment and $750,000 in fines. Reuters Editor Indicted for Allegedly Helping Hackers Break Into Tribune Co.
UPDATE — One of Matthew Keys’ lawyers told The Huffington Post on Friday that his client was working as an “undercover” journalist when he engaged members of Anonymous in an IRC channel offering login credentials for Tribune Co. servers. Keys, 26, of Secaucas, N.J., was suspended with pay from Reuters news service on Thursday after the social media editor was charged with helping hackers break into the Tribune Co.’s network shortly after he was fired from a Sacramento television station in Fall 2010.